Inspired by the wind that sweeps through the South of France, Mistral will captivate you with its air of refreshment. The design of acclaimed chef/owner Jamie Mammano's South End restaurant is both elegant and informal, resonating with the ambience of Provence. All of the traditional materials, such as stucco, iron, aged wood and stone are visible throughout this grand space. Arched, floor-to-ceiling windows encircle the room, drenching it with warmth and light. 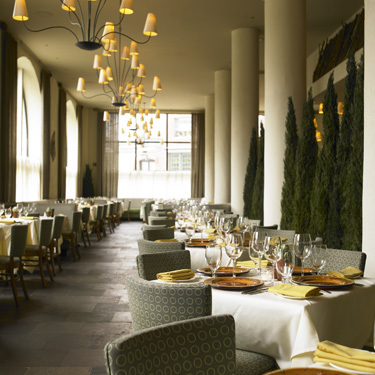 Mistral features a crisp linen dining room as well as a casual lounge and bar.